As you know, we are a cloth diapering family. When we travel however, I prefer disposables simply because as is, I have enough things to worry about when going places with kids. My problem was finding a disposable diaper that doesn't contain toxic chemicals, that can handle a blow-out, and one that isn't made by a huge corporation with too many wrongdoings on their list. So in short, I set out to find the best disposable diaper on the planet. Guess what? I found it! 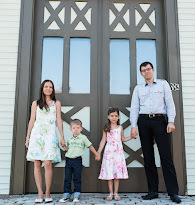 You've seen me mention it before, but now I'm devoting an entire post to it! Have you heard of Bambo Nature? That's my little guy Baby T wearing one above during a hotel stay. You can kind of tell it's full, the kids were frolicking in bed when they woke up and I snapped some photos before changing him. Performance wise, this is the kind of diaper you don't have to change the first second in the morning so it doesn't leak everywhere. Never a wet sheet or pajamas in sight. In fact, just to illustrate my point, recently my 21 month old slept in one for 12 hours and I left for an appointment in the morning forgetting to change the diaper, the kids stayed with hubby. Of course he thought I changed it! So I come back and the diaper has been on Baby T for a total of 18 hours!!! No leaks, no rash, no chemical stink. M-I-R-A-C-L-E! No additives, guaranteed to contain no allergens - i.e. dyes, inks, latex, glue, odor eliminators, perfumes, essential oils, preservatives, plant extracts, lotion, moisturizer, etc. Holds the Nordic Swan Eco-label, the FSC label, Asthma and Allergy Association label, the rare ISO 14004 Certification (all waste is reused, under 2 % waste produced), and the company has signed the UN Global Impact. 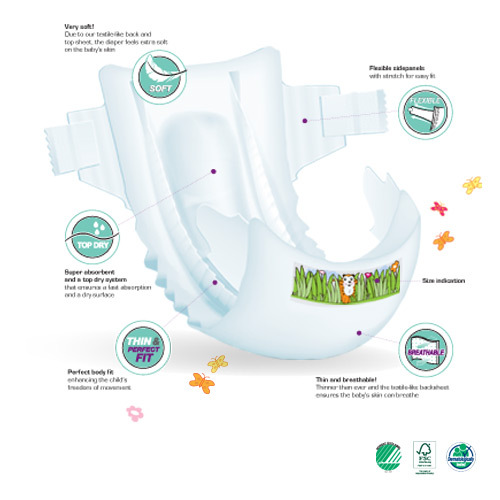 In fact, as I was digitally combing through the stack of files and certifications provided to me by the wonderful people at Bambo Nature, I wondered how other disposable diaper manufacturers have the audacity to claim their diapers are 'green' or 'Eco-friendly' - with nothing to show for it. Really, it's all just claims with no proof and many so called 'green' disposables are anything but! I saw the comparison chart of the top 8 'natural' or 'green' disposable and Bambo Nature certainly blows them all out of the water in terms of ingredients and allergens. Now I certainly see why Baby E, before we started cloth diapers, had a horrible rash from one of the popular 'Eco' disposable diapers. Oh, not to mention Bambo Nature is one of only two disposables that can claim to be GMO free. Bambo Nature are not the cheapest disposable diapers, and they have every reason not to be. In fact I'm amazed they aren't more expensive! Since we use them sparingly, we go through a package of 50 diapers every 2.5-3 months. I buy a 3 pack (150 diapers) on Amazon for an average of $70. If you do the math, it ends up to be $0.47 per diaper for the older version. Depending on the size, package, and where you are purchasing, you're looking at $0.42 to $0.57 range per diaper. So while we love our cloth diapers and have been faithfully using them despite battles with hard water and ammonia stink, we are sticking with buying Bambo Nature for travel and visits to grandparents. For us, it is easy to justify the price of these diapers considering it's the only one that is free of toxic chemicals and will stand up to an entire night for a heavy wetter baby boy - and then some! 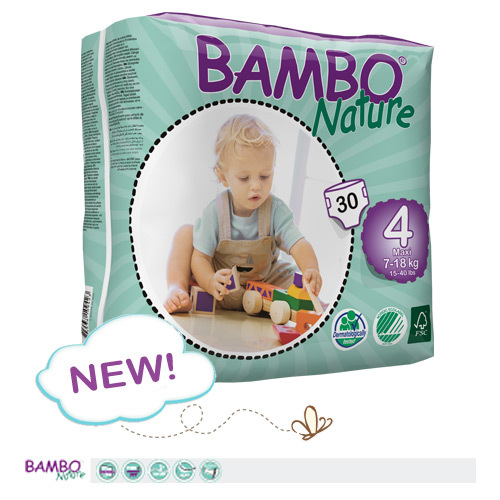 Next week we'll be giving away a case of Bambo Nature diapers valued at over $80! This is a sponsored post written by me on behalf of Bambo Nature. Opinions are genuine and 100% my own, I only share products I love and believe in with my readers! I've never heard of these! I use disposables at night for several reasons, and I've had a hard time finding one that works for my heavy wetter and is still "good" for my little lady and the earth. I'll be looking these up when I finish up with my current pack. :) Thanks for sharing! They are awesome for night time for a heavy wetter, you will not be disappointed! :) Even I use them at night when we are visiting someone and he sleeps in one on the ride home and then wakes up in the morning - I'm really tempted to use it every night for night time. ;) Mostly because our cloth diapers have become stinky, and most stinky for overnight. Have you tried Nature Baby Care diapers? They are great too: http://www.naty.com/baby-care/nappies/ I get them through the amazon subscribe and save too. .40 per diaper. That's actually the other GMO-free diaper we've tried, and it didn't work for us, too hard on the skin, not soft enough, and it leaked. Plus it's not completely fragrance free and dye free, not from sustainably harvested trees. Just the fact that it leaked after just a few hour wasn't worth the price for us. We too use Bambo while not cloth diapering. I try to sing their praises every time I hear someone talking about 7th Gen or the like. We use Bambo at night & when traveling - they are seriously the BEST at absorbency, they don't have that awful smell when our son pees in them like most disposables. Amazon is out of size 4s right now so I picked up the European brand on sale on their website. That & the owners of the US branch are so kind and truly passionate about their brand and parents. Thanks so much for posting. We too are HUGE fans of Bambo as a nighttime / travel alternative to our cloth. I sing their praises every time I hear someone interested in Seventh Gen. I didn't realize the non-gmo status thought it doesn't surprise me. The company is SERIOUS about their footprint and the owners of the US operation are incredibly kind and are true representatives of what an all too often abused title of "eco-friendly". They are unbeatable as far as absorbency and don't have that tell tale odor of disposable diapers. So best for the environment, best performance and reasonable price - there's no comparison! Also, Amazon is out of our size 4 diapers so I bought the "Euro" version the bambo site yesterday and they were on sale! As a side note: we recently had an issue with our cloth and the ammonia stink. We started cold rinsing by hand before tossing in the diaper pail and switched to Charlie's laundry powder - the results were instant. They come out so clean smelling and we've been able to (pretty much) eliminate the first rinse cycle - saving more water/electricity. I use Charlie's for cloth diapers too, but I think I really need to rinse them out before tossing in the pail, thank you for the advice! Wow, these look like amazing diapers! I'm going to try to pick some up next time we travel. My silly hubby who used to be so against cloth diapering has come to realized how very expensive disposables can be if used full time and he refuses to buy me a pack of sposies when we travel.lol. My diapers have gotten a little stinky too after we moved. Much harder water here. I'll have to figure some way to fix that. Our overnight diapers are particularly stinky too. I started rinsing but they're still kinda stinky and now my pail liners are cracking at the bottom where the extra water accumulates. :( I have painful joints so it's hard for me to wring them out well enough I guess. Thanks for the review. It's nice to know there are some very good options out there. Hello, I would like to know what stores to buy Bambo Nature diapers at in the Boston, Ma. area. Thank you.